Consolidating debt is one of the solutions that can effectively solve credit problems. However, you need to understand that it is not necessarily true for everyone. Some people may find out that debt consolidation loans is the best way for them to achieve debt freedom. However, some consumers will not have the same experience. When selecting a debt solution for your credit situation, you need to be sure that you are using the right program. If not, you may find yourself wasting your time, effort and money on a solution that does not fit your financial situation in the first place. The truth is, consolidating your debt is logical. Why will you complicate things when you have the option to deal with just one debt instead of multiple ones? The NewYorkFed.org revealed early this year that the household debt in the country increased by $117 billion towards the end of 2014. That means the total household debt is now at $11.83 trillion. The data revealed that the increase happened in almost all kinds of debt – mortgages ($39 billion), student loans ($31 billion), auto loan ($21 billion) and credit cards ($20 billion). In most cases, households have all of these credit problems. Mortgages, credit cards and student loans are among the prominent debts in every American family. When you are managing your credit, you need to keep track of all these accounts, due dates, minimum payment requirement, interest rates and other charges. It can all be very confusing at times and if you are not careful with your monitoring, you can end up forgetting payments. That can lead to a late penalty charge and a possible negative effect of your credit score. If you can relate to this problem, then consolidating debt may have already crossed your mind. But before you finalize your decision to use this debt solution, make sure that it will not waste your time first. Fortunately, there are three signs that will help you realize if this is a solution you can pursue or not. If you need to make sure that consolidating debt is the answer to your credit difficulties, you need to make sure you do not exhibit these three signs. You need a debt reduction. Let us make one thing clear: debt consolidation loans do not pay off your debt. It is true that you will use the loan to pay off and close the multiple debts that you owe. But after all of that, you need to remember that you still owe the same amount of money. You simply restructured your debt so it is under one lender. If this is not enough for you, then you need to reconsider a mere consolidation of your debts. 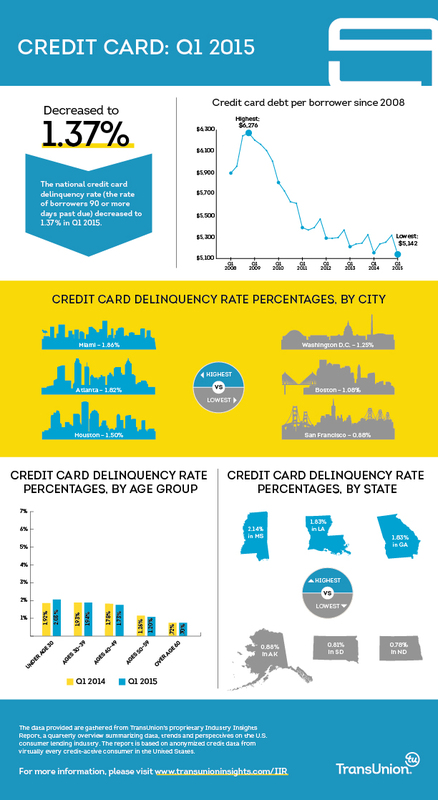 According to an infographic created by TransUnion and published on PressPage.com, the average credit card debt during the first quarter of 2015 is $5,142. That is a huge amount to pay off. If you add to it mortgages, auto loans and student loans, you could very well be drowning in debt at this point. You need to be very honest with yourself about your ability to pay off your debt. Can you afford to pay off your loan or do you need a debt reduction? You do not have a stable income. One of the requirements of debt consolidation loans is a stable income. You should not only have a steady income each month – you need to be sure that you will be having it for a couple of years in the future. A benefit of consolidating debt is you can lower your monthly payment requirement. Ideally, the debt consolidation loan that you will get should have a longer payment period so you can stretch your current balance over that time. The result will be a lower payment contribution each month. This longer payment period means you should have the resources to support your contributions. A stable income is the answer to that. If you are earning an irregular income or you only have a temporary job, you need to reconsider if debt consolidation loans is the answer to your problems. You want to get out of debt fast. The third and last sign that you need to look out for is your intention to get out of debt fast. If you want a fast relief from your debt, you may want to look elsewhere for your debt solution. Debt consolidation sometimes take a long time to finish. This is especially true if you combined certain debts like your credit cards with your mortgage. A home loan takes more than a decade to complete. If you are retiring soon, you probably want to finish paying off your debts as soon as possible. That way, you will have enough time to save up for your upcoming retirement. According to an article published on Fool.com, four out of ten baby boomers do not have anything saved for retirement. If you are in this situation, you need to get out of debt fast so you can maximize your extra money and add it to your retirement fund. Apart from these signs, you also have to consider other factors like the type of debts that you owe. Consolidating debt that has a low interest already may not save you money – especially if the loan you will get has a higher interest rate than your existing. Loans with prepayment penalties may also be better off left alone and not consolidated. There are other options to get out of debt if you think that debt consolidation loan is not the right solution. If you need a debt reduction and you want to get out of debt because you know that your income is not stable, then you may want to consider debt settlement instead. Settling your debts involves an agreement between you and the creditor or lender that will allow you to pay only a portion of your current balance. What you will do is to negotiate so you can pay a settlement amount that is just a percentage of your balance. Once this amount is met, the creditor or lender will forgive whatever is left of your debt. It is like paying your debt pennies for every dollar. While this debt reduction is very appealing, there are a couple of things that you need to understand about debt settlement. You need to be in a financial crisis. It is important to note that only people who are in a financial crisis can find it easy to settle their debts. No creditor or lender will take notice of your proposal to settle unless your loan is already on default – or you have gone months without paying off your loan. If they know that you can still afford to pay each month, they will not settle with you. But if you can prove that you are in a financial crisis, things will be easier for you. The decision to settle is in the hands of the creditor. Regardless of how strong your proof is that you are in a financial crisis, debt settlement will be completely under the discretion of the creditor or lender. There is no law backing you up here. So if they decide not to grant you a settlement, there is nothing that you can do about it. Your creditors consider your loan payments as part of their profit. If they allow you to pay only a portion of that, they are cutting into their earnings. Debt settlement can ruin your credit score. Since creditors will hardly pay attention to your settlement proposal unless you are on default, you can expect that your credit score will not go unscathed. Regardless if you are successful in negotiating a lower payment or not, you will always end up with a damaged credit score. The road to debt freedom, whether that is through debt consolidation loan or debt settlement, will always be tough. You need to make sacrifices if you want to eventually have financial freedom. But if you choose the right debt solution, it will be easier and less damaging. Here is a video that will help you make better decisions about your personal finances.